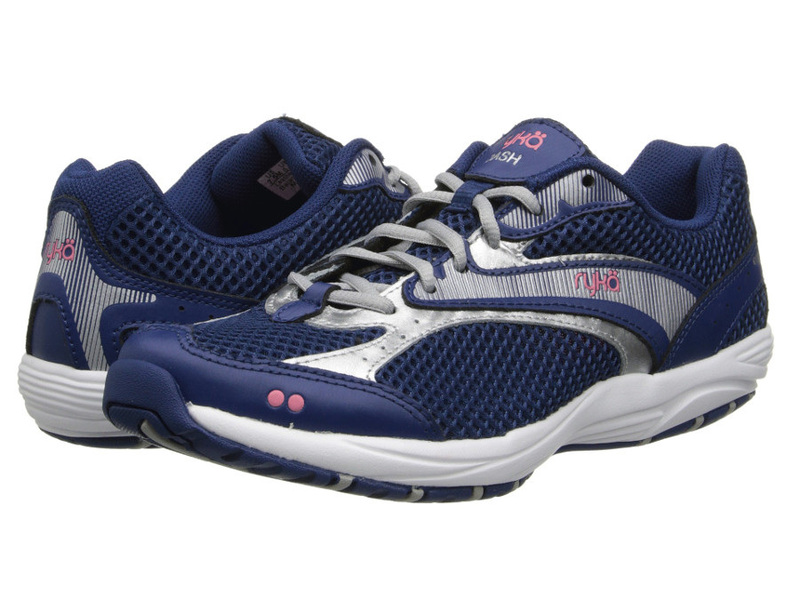 The Dash from rykä provides exceptional cushioning to meet all of walking fitness needs! Open mesh upper with leather overlays for great breathability and excellent upper stability. Mesh lining with a cushioned, removable OrthoLite footbed for your convenience. Traditional lace-up front with mesh-lined padded tongue for secure fit. Lightweight molded EVA midsole for enhanced cushioning and shock absorption. Longitudinal solid rubber outsole provides the perfect balance of traction and flexibility.